Trump, himself presiding over a nation suffering a seemingly insurmountable crisis and challenged by a united (or united enough) opposition, is desperate for something to break the deadlock. [ ... ] Venezuela beckons. 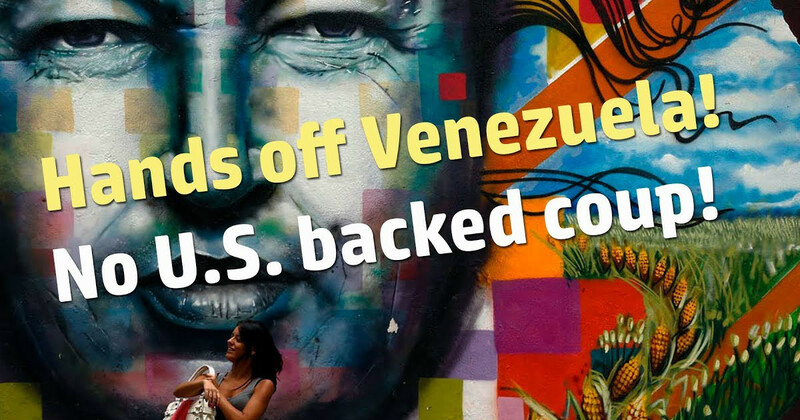 UE's General Executive Board, meeting last week in Pittsburgh, declared that "Trump’s formal recognition this week of the unelected, pro-business Juan Guaidó as the “president” of Venezuela will only create more tension, violence and economic instability in a country already suffering from U.S. economic sanctions and support for violent anti-government forces."